A rather bold move from Hyundai, the Kona is not only another small SUV in a market currently full to the brim with small SUV’s, but it’s also the fourth SUV on offer from Hyundai in South Africa, sitting just above the Creta and just below the Tucson. 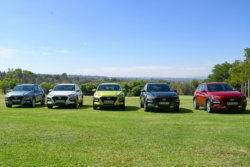 However as Hyundai point out, SUV’s are practically the only growing market in the country, with the possible exception of 5 door hatchbacks, making the introduction of another SUV into the Hyundai arsenal a potentially lucrative one. 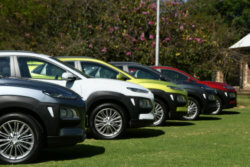 So the thinking caps have definitely been on when making this business decision, but how is it going to fair in the market, particularly as Hyundai is presenting its customers with so many options. Well let’s start with the basics of the Kona. You’ve got two options, the more expensive 2.0L naturally aspirated petrol, coupled to an automatic gearbox and prices starting at R399,900 and the cheaper 1.0L turbo petrol, equipped with a traditional manual gearbox and a price starting at R379,900. Significant is the missing elephant from the room, there’s no diesel at this party. However, with Europe’s massive swing towards small turbo charged engines and away from anything powered by the dreaded D, I’m guessing from a global strategy perspective that it only makes sense for a car of this size to follow suit. What doesn’t make sense is to omit an automatic gearbox option for the little turbo charged engine. Congestion in major cities is a global problem and I’m really struggling to understand the logic behind this. 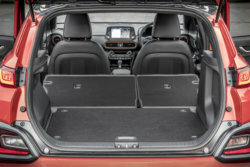 Couple it to the Hyundai Kona being a classic case of statistics not telling the full story and I found a real conundrum between the two options. Admittedly this could largely be down to Johannesburg being at such high altitude, but the bigger naturally aspirated engine just feels completely lifeless to me, especially after driving both derivatives back to back. Mad when the smaller turbo engine is down 22kw, 1 cylinder, 8 torque and 4 valves, yet it was so much more fun to drive, felt nippy and vibrant, the power delivery was excellent and of course you can get pretty crazy fuel consumption figures from it if you’re desperate not to actually get anywhere. 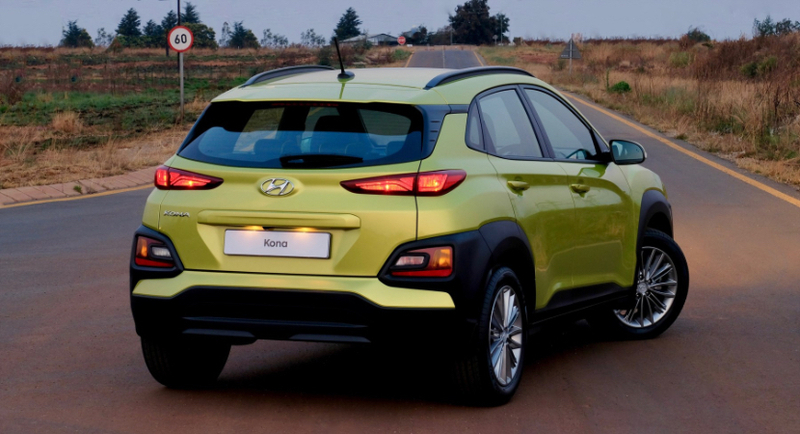 On the definitively positive side, I really like the looks of the Hyundai Kona. Immediately striking in person, it’s got a distinctive look that sets it apart nicely from the competition. In photos I’ll admit it gives off a strong Citroen Cactus vibe with those narrow headlights, paired with a very Lexus RX looking grill, but get up close and personal with the car and there’s no mistaking it’s its own machine. Interior can best be described as pleasantly functional. I always find Hyundai to be much more rugged, almost agricultural in comparison to their Korean cousins, however the latest generation has really stepped up the game and now we have a logically lovely cabin with a couple of frills, mostly quality materials and a no nonsense attitude that fits perfectly within the segment. To drive the Hyundai Kona is pretty responsive and nimble for an SUV. 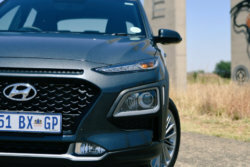 This experience was without doubt coloured brighter through the added zest provided by the turbocharged manual version, however the Hyundai engineers have worked hard to provide a bit more engaging experience through small, but significant changes. A good example of this is the decision to quicken up the steering in the Kona and even though the change has been a small percentage, it has certainly given it a just a little more edge to the responsiveness of the vehicle. Now I have to admit that I enjoy touches like this as it gives a car a little something different, something either over its rivals or to set it apart from others that are ultimately built on the same platform. At the end of the day I can quite happily say that I like the Hyundai Kona. Good build quality, exciting looks, comfortable, well equipped and a small SUV all adds up to a prospect that many will ignore those hot cakes in favour of. However I have to come back to the dilemma presented by the two offerings. Without doubt in my mind the smaller turbo charged engine is the one to go for. I also think given the general use and purpose of a small SUV that an automatic gearbox is going to be what you really want, despite the manual being very pleasant to use. So which do you go for and which is the compromise you’re willing to take? I’m sure this glaring omission will be corrected in the not so distant future, however for the time being I’m very worried that many people are going to look seriously at other options within a segment that provides them with a huge amount of choice. 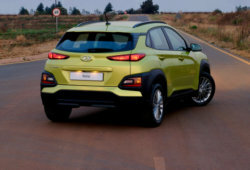 And that’s a shame for the Hyundai Kona is a vehicle that deserves to do well.